Home How it works FAQ Schools Shop Buy now! It's never been easier to label your child's clothing and school uniform. Order custom identitags, laser etched with your child's name and start attaching today. 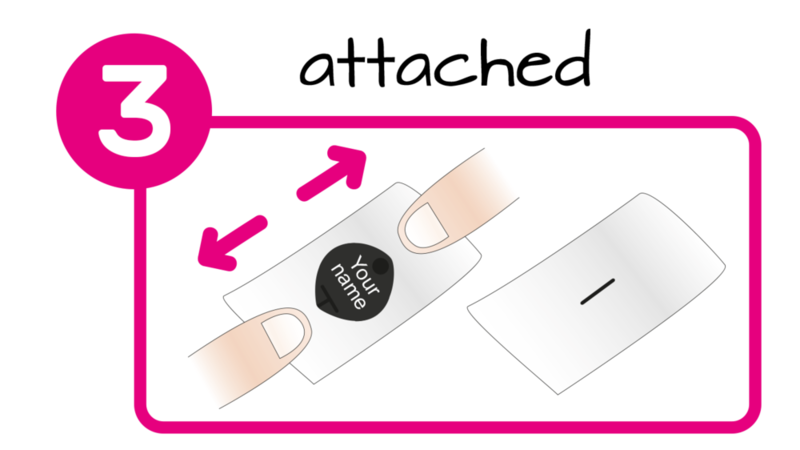 identitags can be attached in a matter of seconds following 3 simple steps. No more sewing, ironing or writing in names! Plus, with our patented attachment system and slim design, your child won't even notice the tiny button on their wash label. "Identitags are very easy to apply and made labelling the school uniform a swift job. I watched the video a couple of times to make sure I could use the tool correctly and put the button on the right way round, but after that it was very easy. They are very sturdy and have survived many washes already, neither of my children (3 and 5) have noticed them in their clothes which is super and not one has come off, so they must be very durable. All in all a great product for labelling clothes."